A fixture on the abridgers’ calendar in terms of conventions – Alcon has been a regular haunt for the British contingent of the fan parody community. I myself have been going as a guest since 2010 with LittleKuriboh first representing the community in 2009. 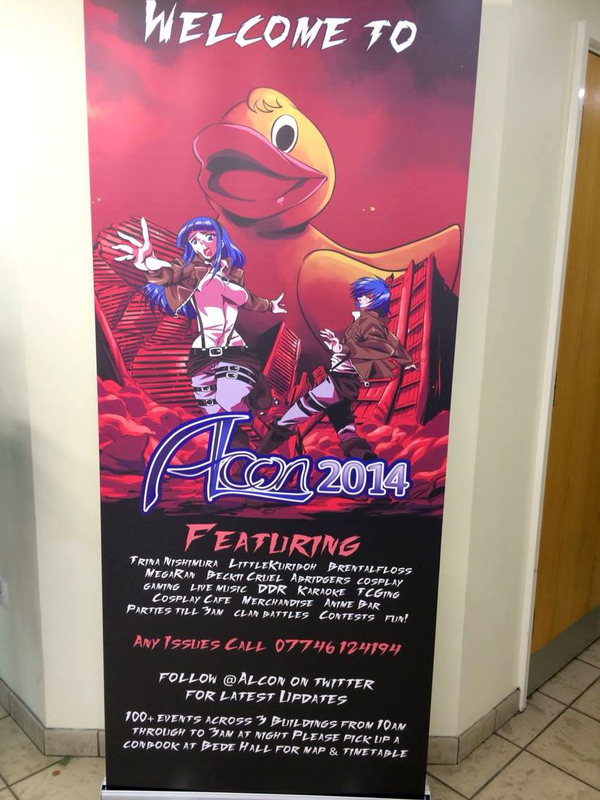 In 2014, Alcon returns for its eighth outing with over one thousand four hundred attendees descending on the city of Leicester for a four-day anime bonanza…and lots of drinking. 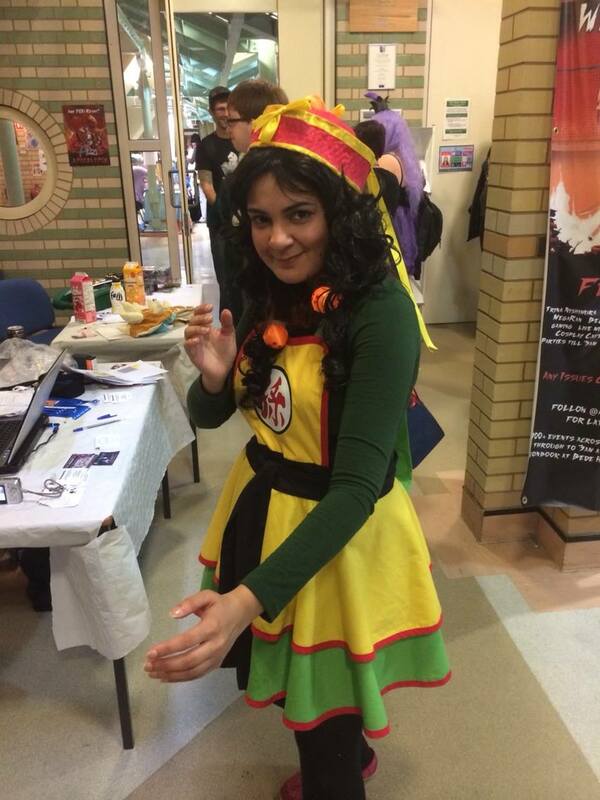 Alcon is the premier event of the UK anime group Animeleague which has been run since 2007 at Leicester’s De Montfort University. It provides over one hundred events over four days in two of the campus’s buildings with the bulk of them being held in the lecture hall known as the Queen’s Building [unfortunately Her Majesty was not present for the weekend!]. You might be wondering why there’s a rubber duck with the mascots. 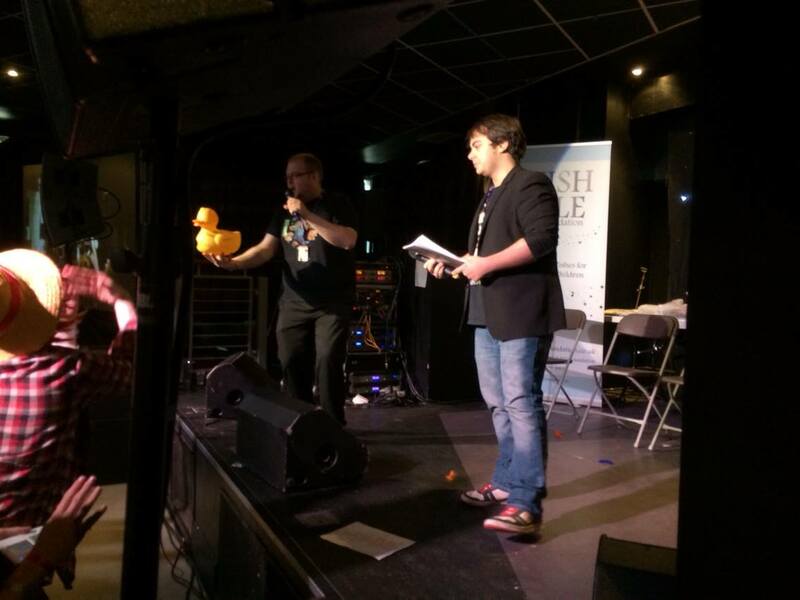 That started in 2013 with the trend of rubber ducks appearing throughout the event culminating with the rise of a giant duck known as King Duck. From there, it has become a staple in the Animeleague world and you will find numerous gatherings of these ducks squeaking incessantly. Weird, but intrinsic of a strong community! One thing to make clear is that Alcon is a sixteen-plus convention as it mostly takes place in the student bar of the Student Union building. Drinking and partying is a core part of the Alcon experience so if you’re averse to that, stick to the Queen’s Building for most of the time as you can find vendors, cosplay and gaming there. When it comes to the abridgers, we had a strong showing this year [although not quite as many as last year]. This year we had LittleKuriboh, xthedarkone, Faulerro, PurpleeyesWTF, EileMonty, Lady Nanaki and myself. Along us was the famous voice actor Trina Nishamura fresh off the back of the English Attack on Titan dub as well as the internet musical star Brentalfloss. Alcon is able to get a good guest roster and packs out a lot of live acts to work with the anime and cosplay guests which work well to cater for a wide audience and keep the young audience pumped out throughout the weekend; it’s pretty tiring come Sunday! Each of us had our own Q&A panel except for myself [I wasn’t quick enough to get one in but I DID have a panel which I shall explain about later] in a different place to where we had been placed up to now. This year, we had our panels in the Main Talks section opposite the main stage as opposed to the main lecture room in the Queen’s Building. We were a little perplexed at this choice because the room was very long and people at one end of the room might not be able to see the people on the very small stage; it’s hard to get eight people on a stage which is eight feet by five feet! We also had issues with acoustics from the main stage with music or other panels’ audio spilling into our room and making it a little hard to hear the people on stage. On some days it wasn’t so bad, but on the Thursday and Friday it was pretty disruptive. Perhaps something to consider in the future; either better microphone speakers or more effective scheduling so one panel doesn’t overpower the other aurally. 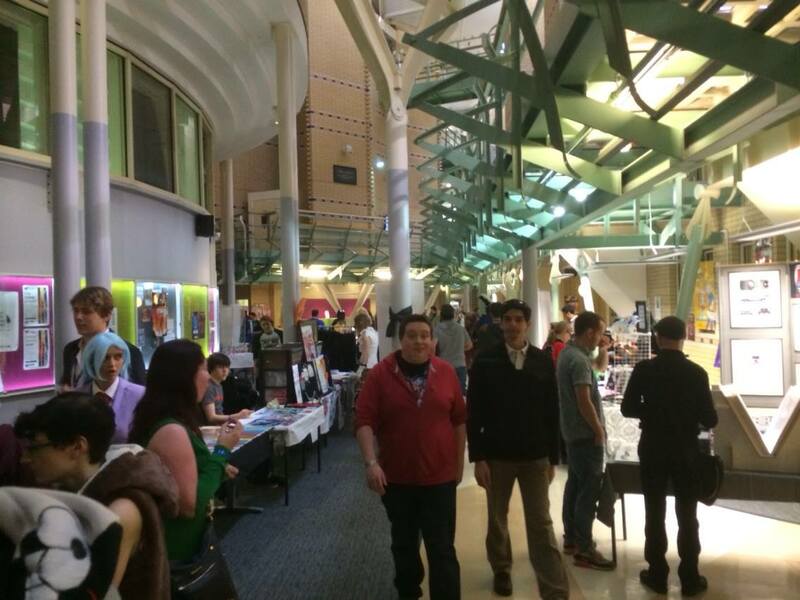 The vendor’s area was this time split into two sections of the lower floor of the Queen’s Building. First off there was the dealer’s room which had historically been very cramped and prone to traffic jams; not good for those who are claustrophobic. However this year was different; more of the vendors had been moved into the main foyer freeing up space in the dealer’s room for more of the larger shops and outlets to sell stuff leaving the foyer for more home-made and artistic vendors. It was a much better setup and made more use of the space on offer. Next door was the cosplay cafe which has always been good in my eyes, but I didn’t get to go in there during the weekend as scheduling conspired against me. All in all, the Queen’s Building was much better organised this time around – keep it up! Come Saturday and one of the examples of how Alcon has stumbled when it comes to organisation. The convention has historically had problems with scheduling with panels running late especially on the main stage. This year had been better in that regard but it still came back to haunt us when EileMonty’s Blind Reading panel was pushed back after the previous panel overran. Then it was merged into my Bad Fanfiction panel which I didn’t mind doing to help out the schedule but was still a little haphazard. Then shortly before the panel was meant to start, EileMonty’s set was moved to the start of the Charity Auction and mine was restored to its original slot. I was glad my friend was able to keep her reading kind of but the fact it was disrupted that much was a little irritating; in the end though, it still got to be run so you can’t complain too much I guess. 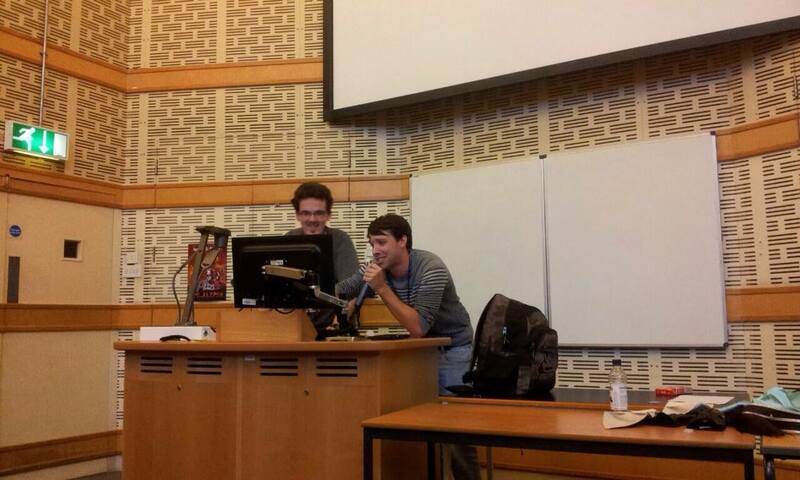 Speaking of my fanfiction panel, it went spectacularly. 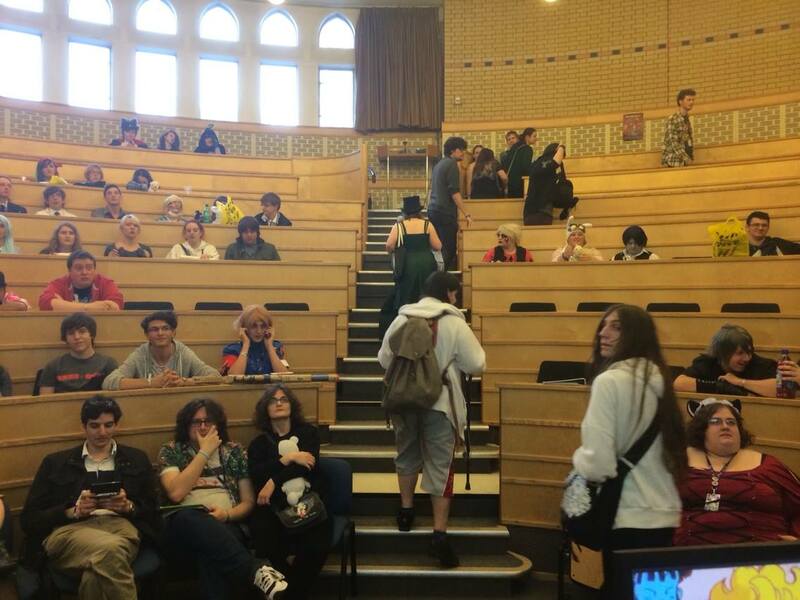 I had one hour in the original lecture hall we used to be in all the time which was ideal for its raised seating and good acoustics; in fact it was even better as the audio/visual equipment had been upgraded in the year between cons. I also had the luxury of having plenty of material in reserve. I had fourteen fanfictions for the panel and only needed to get through seven of them with the help of PurpleEyesWTF and Laura Dale [respected gaming journalist]. The audience were laughing their heads with me as each story was read out and I enjoyed myself immensely. It was probably one of the best panels I’ve ever done and I hope to develop the format some more when I go to J-Con in two weeks. In the end, Alcon was a decent experience with a few hiccups along the way in terms of logistics. I will always go to this event mainly because it’s the best place to meet up with my friends and that’s evident that that is part of why most attendees go; it’s a great place to hang out with friends, meet some of my British fanbase and have a laugh in the relaxed student atmosphere. I still feel that Alcon is a little conservative when it comes to growth with only two hundred extra tickets available this year over last year. It has enough of a presence on the UK anime scene to warrant over two to three thousand attendees after this long on the convention circuit. In any case, it’s a pretty good party con and a special place because of the people that go to it. Everyone is happy to see each other and there’s plenty going on so you won’t be bored!